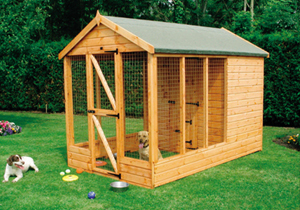 Special accomodation for your special "friend" our range of wooden kennels provide the best in kennel design coupled with runs complete with separate personal doors. Call for more information or to request a brochure. 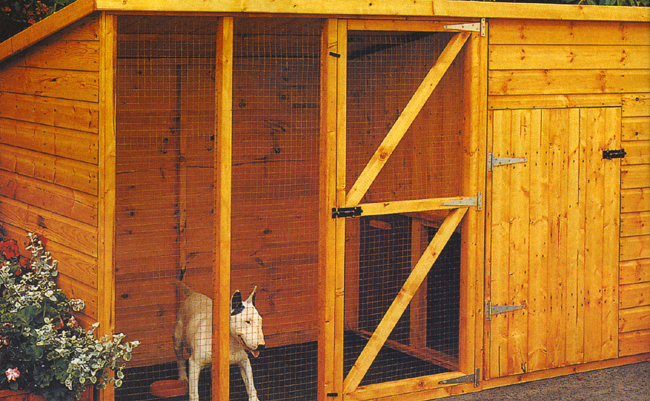 Available in 1190 x 1190 mm (4' x 4') with either a 1790 mm (6') or 2390 mm (8') long run. The roof and floor are produced from OSB. The run is produced without a floor. There are separate personal doors to kennel and run. 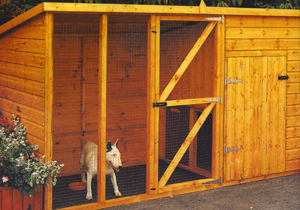 Sliding door for dog use from kennel to run.